Imperial Australia and Imperial Ware are global leaders in manufacturing and the supply and distribution of bathroom products and accessories. Here you will find a comprehensive range of elegant & sophisticated products that are perfect for any bathroom. All Imperial Australia products are designed with form and function in mind. Each one of our products is carefully selected to ensure we deliver to you the highest level of quality, design and innovation. We are proud that the design of our products is comparable to art. Each of our products could be a great Valentine’s Day gift for a man who has everything. ARVEX ITALIAN GLASSWARE, GSI ITALIAN SANITARY WARE, HEIRLOOM BATHROOM ACCESSORIES, METALIBERICA (MIBSA) BATHS and MERCER KITCHEN & BATHROOM PRODUCTS. For more information about Imperial Australia or any of the products listed on our website please contact our head office. Imperial Australia has developed a new range of basins, toilet suites and bathroom accessories under the guise of ‘i-design’. 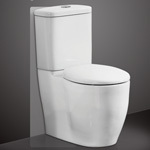 Imperial i-design ../products offer a new standard in shape, design and innovation. Each product captures new features such as enhanced ergonomics, usability and sustainability. Imperial i-design ../products are modern and highly functional in their design for everyday use, while being thoughtful to the environment. Imperial Australia have pre-released two toilet suites in the i-design range, available in August 2018. LUCCA – a modern functional design developed in a collaborative environment by bathroom product design specialists and high-end builders and developers specifically focussed on the current trends in modern architecture. NEW YORK – an Australian first in elongated toilet suites. Unique in its design and highly adaptive for domestic and commercial installations. 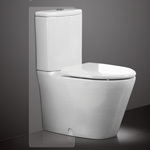 With form and function that separates it from any other toilet suite available in the Australian market today. All Imperial i-design bathroom ../products are manufactured at a new state-of-the-art production facility in the United Kingdom. For more information ../contact our head office.